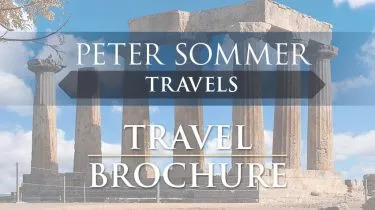 For a full list of our tours in Greece with dates and prices, please scroll down. The landscape of Greece is filled with names that line the pages of history: Athens, Sparta, Corinth, Thebes, Delphi, Olympia, Knossos, Mycenae, Tiryns….the list goes on and on, and every single country road and lane seems to have at least one sign on it pointing the way to yet another monument, tomb, site or entire city from its long and glittering history. 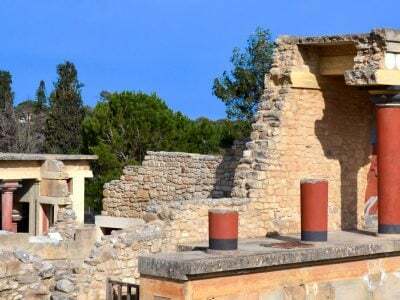 The dramatic landscape, with its soaring mountains, glorious sandy beaches, deep gulfs, gnarled olive groves and bustling cities forms the perfect backdrop to this cultural extravaganza. There is always something to catch the eye while travelling here and often, there are so many things, that it is a country best visited in company, so that as little as possible escapes your attention, be it a ruined tower on the skyline, a beautiful grove of olives stretching across the landscape, or a soaring eagle hunting for prey. 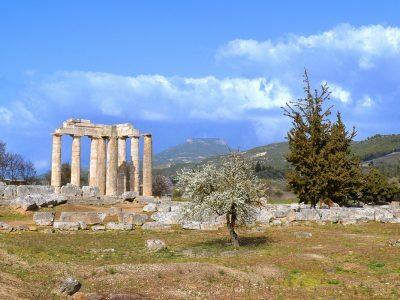 The scintillating history of this great land is the clear focus around which our tours are designed, but so much more is added in to each of our Exploring itineraries in Greece. The wonderful and varied food, the increasingly famous and award-winning wines, the renowned hospitality in the beautiful guest-houses and boutique hotels that we have carefully chosen, and above all your knowledgeable guides who have dedicated their lives to the study and presentation of one of the great founding nations of the Western World. 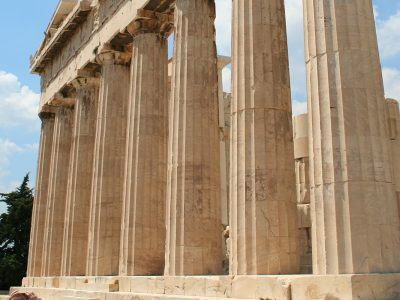 Average rating 5 out of 5 from 372 reviews for Exploring Tours in Greece, according to AITO reviews.